Protect standard sized gaming and other cards (MTG, Pokémon, etc). high clarity and excellent quality from a trusted brand name, ultra-pro. Clear 100 Count bundle. 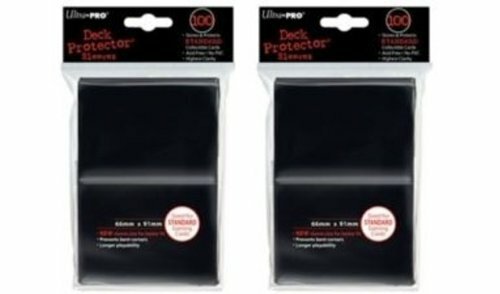 Deck Guard Sleeve Protectors are firm enough to protect your cards' corners while the matte finish makes them easy to shuffle and handle. Clear matte front helps make your cards legible from across the table. Strong seams and sturdy material means you won't bow out before you're done. These card sleeves will turn heads as you crank up your game and tack another victory on your scorecard. 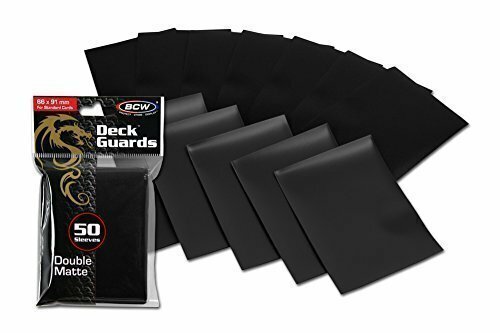 Give your other sleeves the boot and tap into your unspent power in BCW's Double Matte Deck Guard Sleeve Protectors. Protect standard sized gaming and other cards (MTG, Pokemon, etc). High Clarity and excellent quality from a trusted brand name, Ultra-Pro. Black 200 count bundle. 25 ultra pro Silver storage pages: Gaming (pokemon / yugioh. 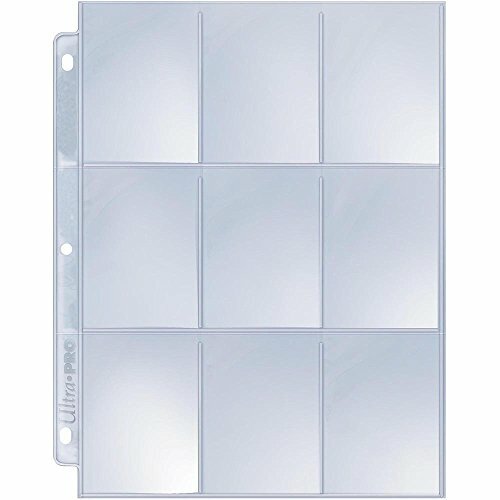 / Magic) trading cards collecting pages (Silver series 9-pocket pages) no pvc - acid free, patented, heavyweight polypropylene, uv protection, lays flat, super strong welds, highest clarity, made in the usa, & top loading. This page is the one used for standard size trading cards. Best quality 9-pocket page on the market. Feel the difference of TITANSHIELD over dollar store sleeves. 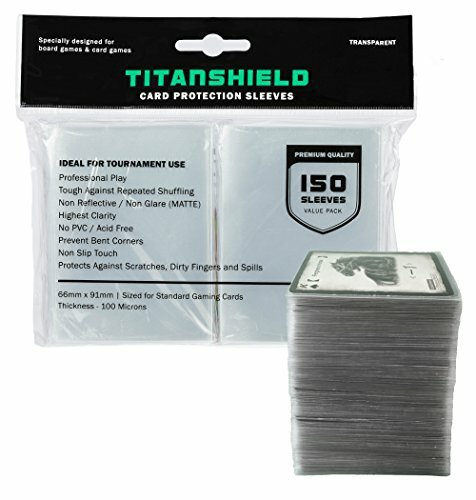 Choose TITANSHIELD premium graded sleeves for ultimate protection. Guaranteed to fit all cards within the stated size. Board Game Sleeve Size Guide:Cards Against Humanity (550 cards)Exploding Kittens (112 w/ expansion) CitadelsTM (106 cards) MunchkinTM (168 cards) Descent: Journeys in the DarkTM (84 cards) War of the RingTM (110 cards) BohnanzaTM (161 cards) Call of Cthulhu LCGTM (165 cards) A Game of Thrones LCGTM (70 cards) The Lord of the Rings: The Card Game (226 cards) PandemicTM (118 cards) Legend of the Three Kingdom (LTK) (108 cards) Arkham Horror (179 Investigator Cards)Resistance (61 cards) Love Letter (20 cards)Also fits Trading Card Games: Magic: The GatheringPokemon Trading Card Game For reference only. Please double check with the game manufacturer before purchasing. 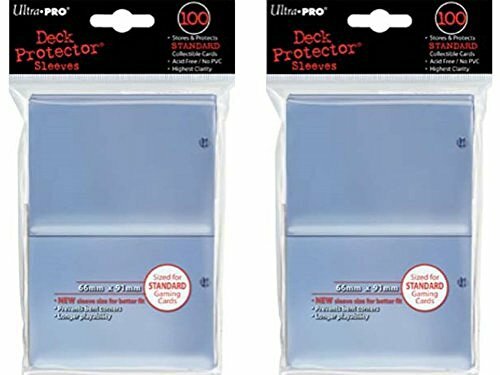 Deck Guard Sleeve Protectors are firm enough to protect the corners of your cards while the matte finish makes them easy to shuffle and handle. Clear matte front helps make your cards legible from across the table. 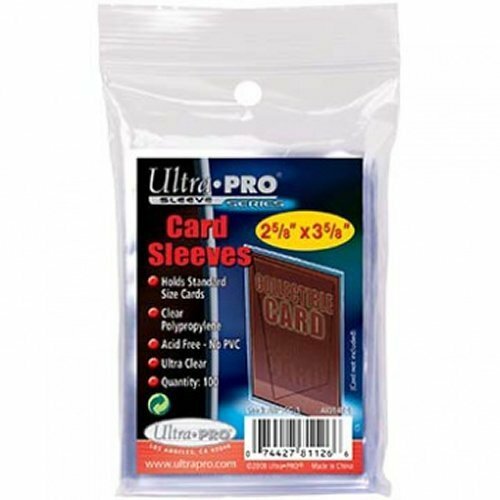 Strong seams and sturdy material means these sleeves are very durable. These card sleeves will turn heads as you crank up your game and tack another victory on your scorecard. 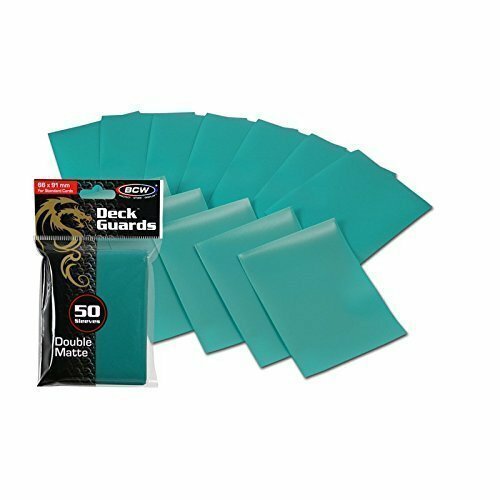 Protect standard sized gaming and other cards (MTG, Pokemon, etc). High Clarity and excellent quality from a trusted brand name, Ultra-Pro. These are high strength credit card protector; highly transparent with offset opening to insert and remove cards easily; slightly larger than a credit card or even a medicare card; guard your card! 6mil thick poly, (total thickness is 12mil);not for RFID "blocking". 1 specified buys 24 protectors, 2 specified buys 48, etc. These are 6 mil medium-heavy duty, 12 mil total thickness, but nevertheless not too thick inside your wallet. 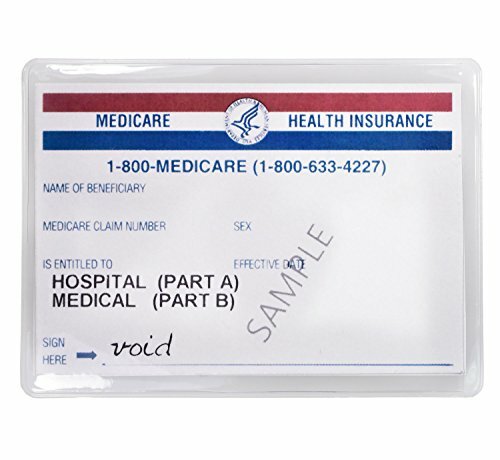 This size fits Medicare cards (medicare cards are larger than credit cards). 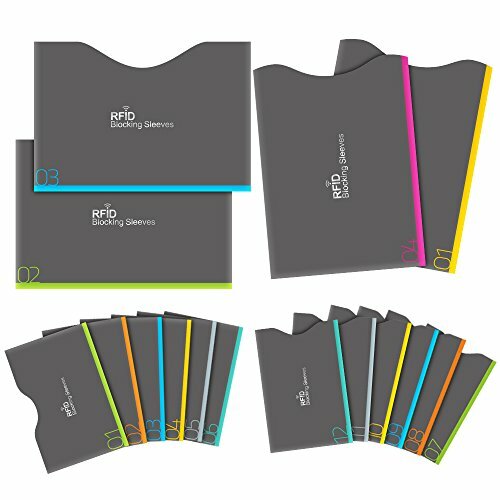 Also fit in some insurance cards, business cards, gift cards, and credit cards- all into one sleeve. Plan to use for other cards too The United States Social Security Administration states against laminating medicare card for the reason that the card may have built-in security measures which might be lost by lamination.